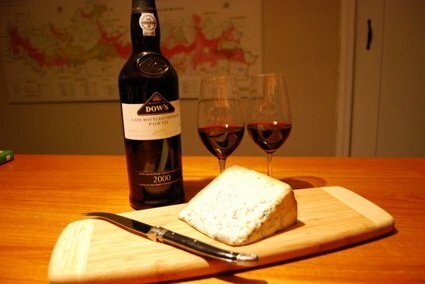 Port and Stilton: A match made in heaven? Port and Stilton is a classic wine and cheese pairing which you shouldn't miss. 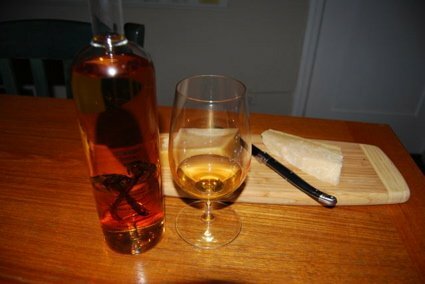 Likewise, many sweet dessert wines can pair beautifully with certain cheeses. Port is the traditional sweet red wine of Portugal's Douro valley. It is a fortified wine, meaning that during fermentation, the wine is fortified with an addition of a grape spirit to halt the fermentation, leaving the wine with residual sugar and higher alcohol. Other examples of fortified wines are Madeira and Sherry. The residual sugar in Port makes it quite sweet and is therefore generally served as a dessert or after dinner drink. There are several styles of Port, from the bright, young fruit of a Ruby port, to the bottle-aged complexity and richness of a Vintage Port and the nutty, smoothness of a barrel-aged Tawny Port or Colheita. Any of these types can be enjoyed with cheese with Port and Stilton being the classic pairing. The reason Port and Stilton works so well together is that the sweetness of the wine is nicely balanced by the pungent saltiness of the creamy blue cheese. The flavors marry in your mouth into something wonderful which keeps you coming back for sip after sip. While you can certainly serve Port alone or with other accompaniments such as a mild dessert or even just some roasted nuts, a creamy and salty cheese pairs beautifully. Following the Port and Stilton lead, other dessert wines tend to pair quite well with salty, pungent blue cheeses. You can try Port with other blues besides Stilton. Alternatively, try other dessert wines with various cheeses. For example, Sauternes, the white dessert wine produced in Bordeaux, pairs beautifully with Roquefort or Gorgonzola. These cheeses are a bit lighter and saltier than Stilton (which is a bit heavier and earthier) and can be quite pungent when eaten alone. However, when washed down with a sip of Sauternes or other rich, sweet white wine, they are divine! We tend to feel that dessert red wines like Port are best with Stilton while Roquefort and Gorgonzola are better with these sweet whites. However, this is only a few of the great blue cheeses available. Try others like Basque blues, Roaring Forties blue, Danish blues and others and pair them with various dessert wines to come up with new fun combinations that work for you. Not a fan of blue cheeses? Or just want to try something different from the typical, classic pairings for sweet wines? Some other creamy, soft cheeses work well with dessert wines as well. For example, mascarpone, crème fraiche, and ripe Brie can work with many dessert wines as well. We prefer the saltiness of a nice blue, but experiment and see which you prefer. Done learning about Port and Stilton?